Nothing looks fresher in the spring than navy blue. It’s a universally flattering color (which must be why it’s commonly used in uniforms), so it’s almost certain that you will look good in it and possibly even great. Be assured: no one looks like death warmed-over in navy blue. 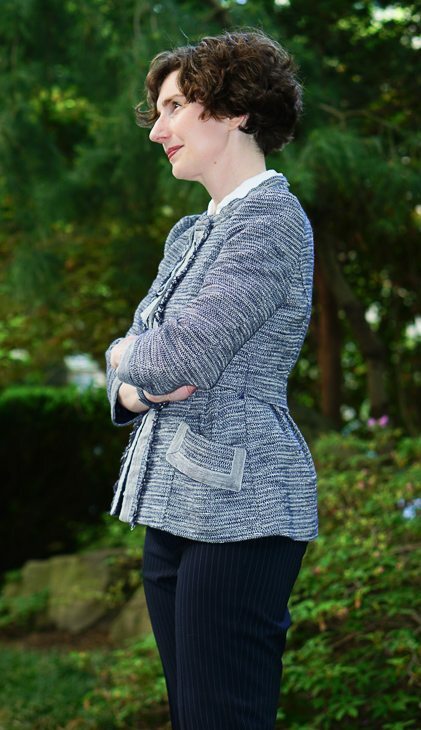 I’ve paired this spring-weight tweed jacket with very lightweight wool pants in a navy pinstripe, a white blouse, and black patent leather shoes. 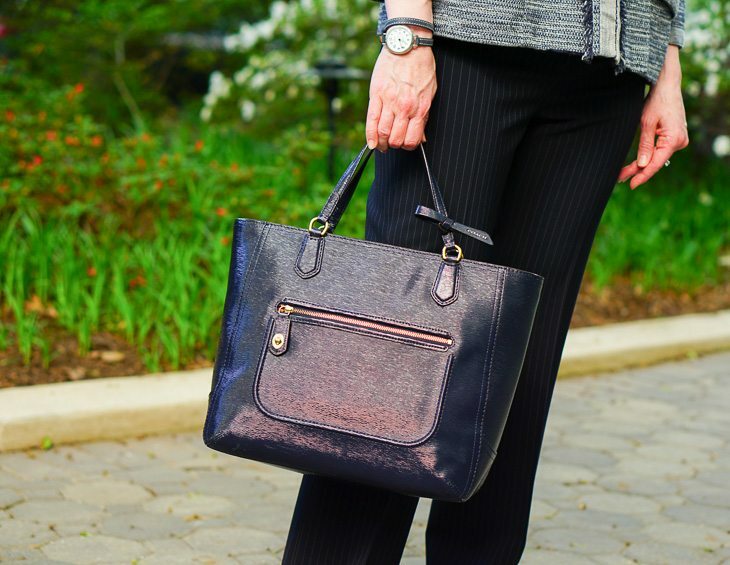 The tweed and pinstripe combination works for two reasons. 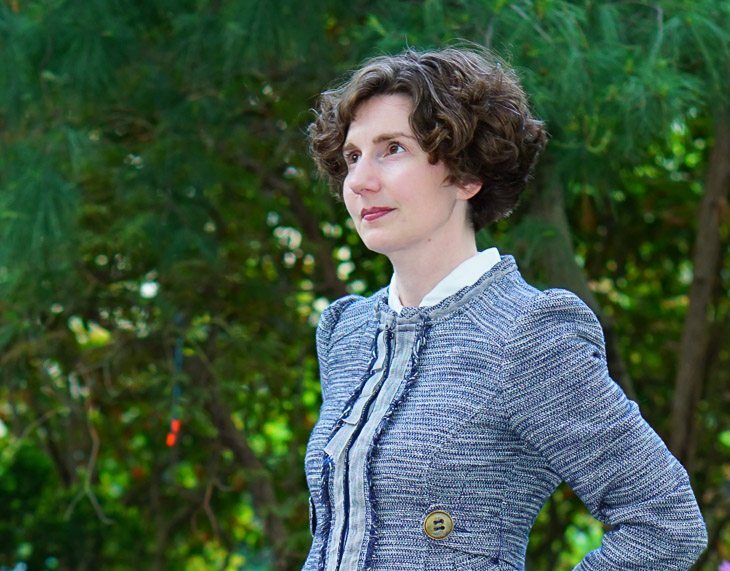 First, the tweed is limited to shades of blue and white. Second, the pinstripe is subtle. 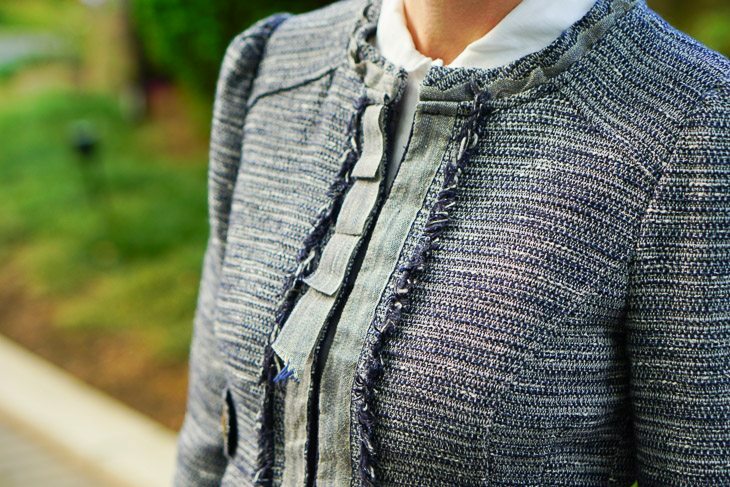 You might think this jacket a little busy — with the giant pockets, self belt, oversize buttons, fringe, and chambray ribbon trim — but when I bought it, it was busier. 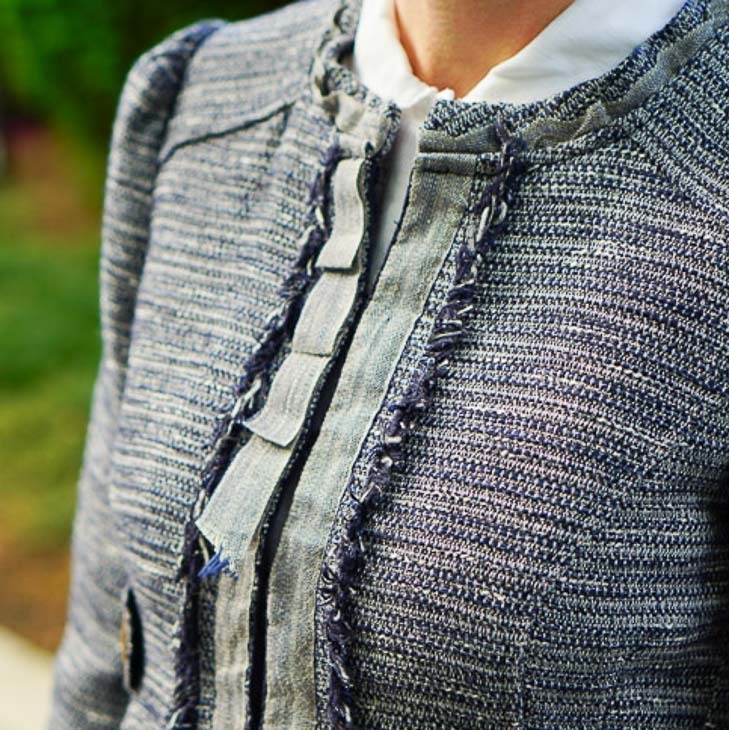 As sold, crocheted trim ran down the sides of the placket. That final touch struck me as excessive, particularly because the trim was beige, so I asked my tailor to remove it. Easily done! Whenever you buy a new garment, try to think about wearing it in more than one way. During the summer months, this jacket looks beautiful — and much lighter — with a navy blouse, white pants, and silver sandals. I’ll plant that seed now, let you think on it, and show you the pictures in a few weeks. 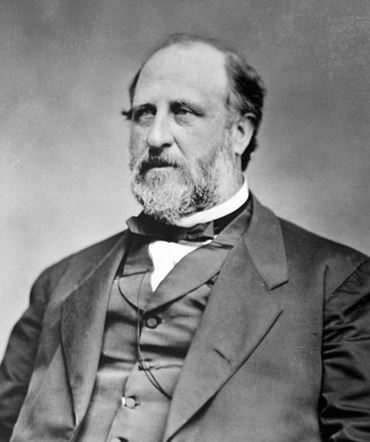 UPDATE July 8, 2015: See my posting on vertical stripes where I further discuss Boss Tweed. UPDATE July 29, 2015: See Boss Tweed, Summer Edition!